This shocking war film is the perfect example of a truly excellent documentary. 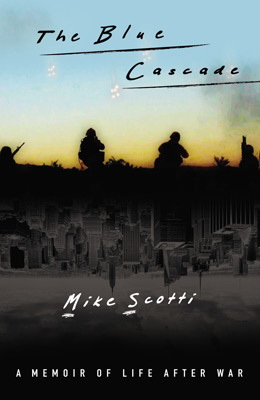 The film was shot by Lieutenant Mike Scotti, who served on the front lines during the 21-day advance to Baghdad in 2003. The film starts with Scotti on a 40-day trip across the Arabian Sea. Him and other marines carry on through Iraq, mainly fueled by revenge. The media and U.S. government have stated political reasons for the war, but Scotti knows the main explanation is simply revenge for 9/11. Everyday, Scotti sees more horrific events and countless bodies on the side of the road. Simply calling this film a documentary is an understatement. This is an eye-opening experience that makes you truly understand war. Anyone with any sense has respect for the marines already, but this film makes you understand their lives on a whole new level. Films like The Hurt Locker and Saving Private Ryan are indeed excellent, but nothing will capture of the horrors war like a personal account of it. Scotti simply uses his own Mini-DV camera, but it’s shot surprisingly well. He manages to get some deeply disturbing shots of war, but some great scenery as well. Director, Kristian Farga, also does a great job of nicely editing the footage together, like he did with his previous film, Anytown, USA. In 2004, Mike Scotti was awarded the Navy & Marine Corps Achievement Medal with Combat “V”. In 2007, he was honorably discharged and he is a true American hero. 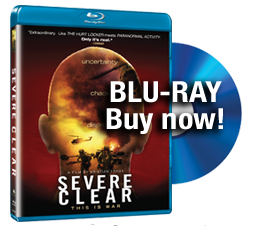 Severe Clear earns the title of being the best war film and the best documentary I’ve ever seen.